These release notes for Ubuntu 14.04.6 (Trusty Tahr) provide an overview of the release and document the known issues with Ubuntu 14.04.6 and its flavors. For details of the changes applied since 14.04.5, please see the 14.04.6 change summary. The release notes for 14.04, 14.04.1, 14.04.2, 14.04.3, 14.04.4, and 14.04.5 are available as well. Ubuntu 14.04 LTS will be supported for 5 years for Ubuntu Desktop, Ubuntu Server, Ubuntu Core, Kubuntu, Edubuntu, and Ubuntu Kylin. All other flavours will be supported for 3 years. Update Manager should open up and tell you: New distribution release '14.04 LTS' is available. Please see the Trusty blueprint list for details. Perform an update or upgrade to Trusty from a previous Ubuntu release. Only those installing from the 14.04.2 media or newer will automatically receive a newer hardware enablement stack by default. Perform a network install using the netboot images rather than the new utopic-netboot, vivid-netboot, wily-netboot, or xenial-netboot images. As with every new release, packages--applications and software of all kinds--are being updated at a rapid pace. Many of these packages came from an automatic sync from Debian's unstable branch; others have been explicitly pulled in for Ubuntu 14.04 LTS. For a list of all packages being accepted for Ubuntu 14.04 LTS, please subscribe to trusty-changes. We eventually intend to ship only Python 3 with the Ubuntu desktop image, not Python 2. The Ubuntu 14.04 LTS image continues this process, although we will not be able to convert everything to Python 3 for the Ubuntu 14.04 LTS release. AppArmor policy has been adjusted for packages that ship it to work with these changes, but local policy may need to be adjusted, especially for signal and ptrace rules. See man 5 apparmor.d for details. Oxide is a webview based on Chromium to deliver web content. Oxide allows us to better support 3rd party developers and applications within the Ubuntu archive by providing a fast, secure and up to date webengine library for the duration of the LTS. While other web content libraries such as those based on webkit are available, their maintenance will be limited to new upstream minor version releases only, and application developers are encouraged to use Oxide instead. Upstart has been upgraded to version 1.12.1. More details are available in the Upstart Technical Overview. New screen saver and lock screen that matches the Unity greeter visual designs, with improved speed and security. 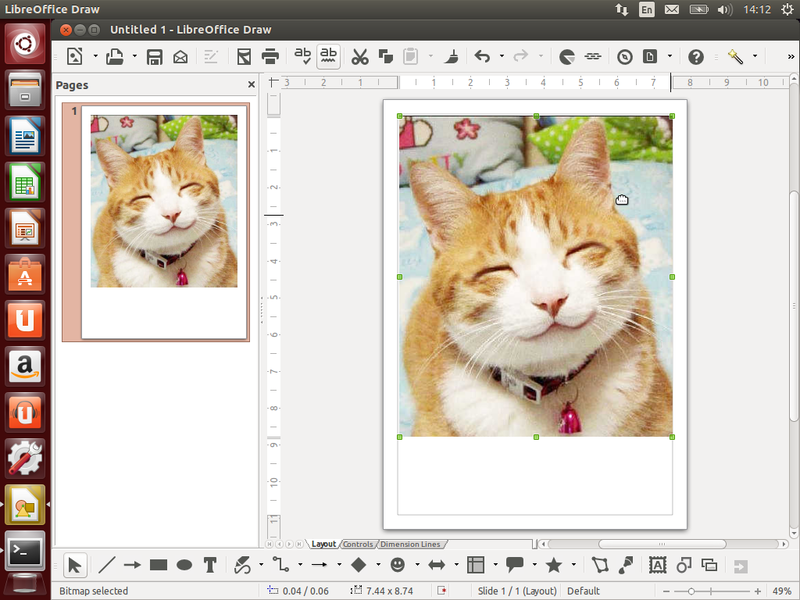 The full list of new features in LibreOffice 4.2 can be found here. The Xorg display server and drivers have been updated to the 15.0.1 release and mesa has been updated to 10.1. The OpenStack Charms for deploying OpenStack using Juju have been updated to support deployment of Icehouse - see the charm release notes for full details. Nova Volume has been replaced by Cinder. Neutron has been introduced alongside Nova Network (deprecated but not removed yet). The configuration file format has changed from a flags based format to a section based ini style format - configuration files should be reviewed and updated accordingly. Existing OpenStack installations must be step upgraded through interim OpenStack releases (Folsom, Grizzly and Havana) using the Ubuntu Cloud Archive for Ubuntu 12.04. The Ubuntu Cloud Archive also provides the Icehouse release for 12.04; Users may prefer to upgrade to this release on 12.04 prior to upgrading the base Ubuntu operating system to Ubuntu 14.04 LTS. Please refer to the upstream release notes for full details of upgrading between OpenStack releases and the features introduced in each release. Ubuntu 14.04 LTS includes Puppet 3. This is a major version upgrade from previous Ubuntu LTS releases and includes many changes which are not compatible with Puppet 2.7.x. Please review the upstream release notes to determine which breaking changes apply to your installation. Ubuntu 14.04 LTS includes Xen 4.4. This is a significant upgrade from the previous release. Of particular note the xen hypervisor no longer supports 32bit only CPUs on the x86 architecture; 32bit Dom 0 running on the 64bit hypervisor is still supported. The hypervisor will automatically be upgraded to the 64bit version (the Dom 0 does not need to change). Ensure your host is 64bit capable _before_ upgrading. Also the XM (xend) management stack has been deprecated since Xen 4.1 and will be removed in the next version of Xen (4.5). Therefore we urge all users to start using the new xl toolstack. For that reason the default toolstack setting (/etc/default/xen) is changed to xl. The format of normal configuration files is mostly identical, only usage of Python inside the config file is no longer supported. Also managed domains, which were managed by xend and stored in a different (sxpr) format will need to be migrated. When upgrading to Xen-4.4 an automatic migration of xend managed domains into xen and libvirt config files is attempted. However, due to many dependencies, this is failing more often than not. So when upgrade has been done and the host is running the new Xen hypervisor, the migration into xen config files can be started by calling "sudo /usr/lib/xen-4.4/bin/xen-migrate-xend-managed-domains". The resulting config files are written into /etc/xen and should be reviewed before usage. Likewise, when libvirt is used to manage machines, the xend managed domains can be migrated into libvirt xml definitions by calling "sudo libvirt-migrate-xend-managed-domains". The resulting definitions should also get reviewed before usage (either virt-manager, virsh or looking in /etc/libvirt/libxl). Once the new VM configs are working, it is recommended to remove the old ones (/var/lib/xend/domains/). This is not done automatically for safety reasons. Ubuntu 14.04 LTS includes Ceph 0.79; Ceph will be upgraded to the Firefly stable release via a stable release update when 0.80 is released upstream. This release of Ceph includes efficient erasure coding of data for cold storage and tiered pooling. Please refer to the upstream release notes for full details on upgrading. Ubuntu 14.04 LTS includes Qemu 2.0.0. Due to incompatibilities in the emulated hardware, live migration of pc-1.0 KVM virtual machines created on 12.04 is limited. To migrate such a VM, you must install the kvm-ipxe-legacy package, and use the "-M pc-1.0-precise" qemu option. If using libvirtd, you must set the 'allow_incoming_qemukvm = 1" option in /etc/qemu/qemu.conf. Such VMs cannot be migrated to releases later than 14.04 without first converting them to a newer machine type. User emulation of arm64 binaries is now supported, and support for armhf and arm64 kvm-accelerated virtual machines is now available. From 12.04 to 14.04, the default vmware vga memory size for machine type pc-1.0 has been reduced. If you are using a desktop image and being placed in low graphics mode, then switching to a new machine type, for instance pc-1.2 pc-i440fx-1.7, should solve the problem. Ubuntu 14.04 LTS includes Open vSwitch 2.0.1. See the upstream release notes for details of all features included in this release. Note that the openvswitch-datapath-dkms package is not compatible with the Linux 3.13 kernel shipped as default in 14.04 LTS; The native Open vSwitch module in the 3.13 kernel provides all the features of the dkms module apart from support for experimental LISP tunnelling and should be used instead. Ubuntu 14.04 LTS includes the newly released LXC 1.0, featuring fully unprivileged containers, a new more flexible seccomp policy language, fast container clones using btrfs, overlayfs, LVM or zfs backing stores, API bindings for python 3.0, go, ruby, lua and C, and SELinux support. Advanced Networking: MAAS now supports multiple managed network interfaces in a single cluster, and has support for VLANs. Zones: A Zone is arbitrary grouping of nodes. This grouping can then be used as a constraint for deployment. Hardware Enablement Kernels: MAAS now supports using kernels other than the default kernel for an Ubuntu release. This includes enlistment, commissioning and deployment and is primarily focused on allowing users to use Hardware Enablement Kernels. See the upstream changelog for full change information. Ubuntu 14.04 LTS now includes official support for strongSwan IPSec. strongSwan is a feature rich, modern IPSec solution. ipsec-tools, the supported IPSec solution in prior releases of Ubuntu, now receives community support and users are encouraged to migrate to strongSwan to maintain official support. For more information, please see this page. MariaDB 5.5 - a drop in replacement for MySQL 5.5. Percona XtraDB Cluster 5.5 - a Galera based Active/Active MySQL solution. MySQL 5.6 - the next release of Oracle's MySQL. Note that upgrading to MySQL 5.6 is an automatic one way process; it is possible to downgrade manually - see the upstream documentation on details of how to perform this process. Ubuntu 14.04 LTS includes Apache 2.4; this is a major version upgrade from Apache 2.2 in Ubuntu 12.04 LTS and users should take care to read the upgrade notes included in the packaging and the upstream upgrading documentation. PHP has been updated to 5.5, which is a major upgrade from 5.3 as available in the previous LTS. Upstream introduced some incompabilities in this update, and recommend testing before upgrading production environments. For more details, see the PHP migration guide. Due to licensing problems, Debian dropped the PHP-supplied json module in Debian bug 692613, replacing it with a compatible json module instead. Ubuntu is aligned with Debian by default, and thus has picked up this change in 14.04 LTS, first in 13.10. The upgrade process will automatically pull in the new module. There have been claims of some edge case incompabilities in bug 1287726; testing is advised. As part of the wider Ubuntu 14.04 release efforts the Ubuntu Touch team is proud to make the latest and greatest touch experience available to our enthusiast users and developers. While this Ubuntu Touch release is still not a supported release, we feel it is important to hand out a relatively "stable" build for wider testing and feedback while we are continuing with high velocity towards our going-to-market milestone late this summer. Also, while not product quality yet, this image is a big step forward feature-wise compared to our initial release done in October 2013, so we hope you will enjoy using this on your phone and tablet. Our 14.04 release images are now available for consumption through our “stable” touch channel. Instructions on how to install Ubuntu Touch on those devices are available at https://wiki.ubuntu.com/Touch/Install. You can also proceed with a system update on the officially-supported devices running the latest stable image. This version features the tablet form-factor with the introduction of the side-stage when the screen size gives enough room to display it. You are able to set a phone-factor application into that side-stage and switch between the main and side stages. Multiple core applications as well have been extended to support and be responsive for various form factors and screen sizes in addition to getting a ton of new features and bug fixes. The home screen and scope experience has seen a complete overhaul, delivering an even better and more stunning experience than before. Users can now enable and disable scopes to get more control about what is searched and delivering more accurate answers and will surely see the attention to detail that our design and engineering team has put into bringing these main UI experiences to where we are now. Give it a try! On the developer side, a new layout framework and new facilities like tabulation title enhancement inherited by the new SDK release are available in our 14.04 framework. 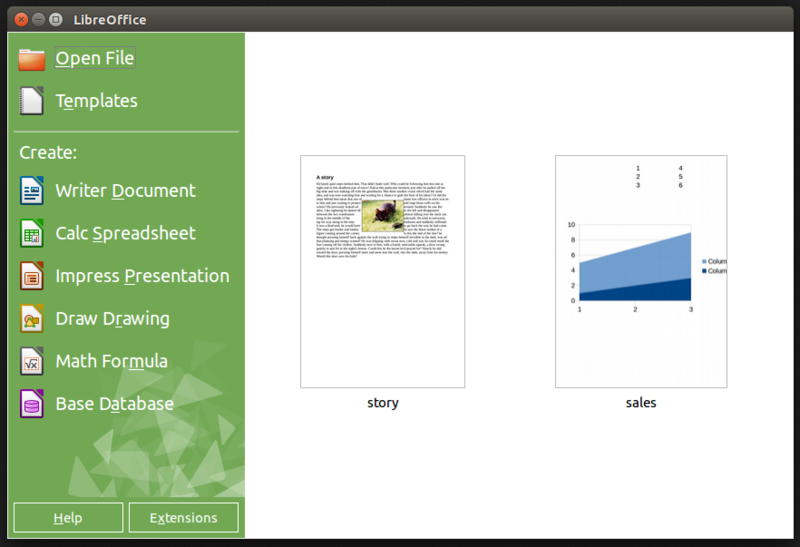 Also, developers can now use an emulator on their Ubuntu Desktop to do app and core system development. Of course, this is just the tip of the iceberg. Just go ahead and experience it yourself. We are looking forward to your feedback and bugs! In OEM mode, language packs are not installed when the end user selects a non-english language and there is no notification (1307983) To install additional languages, open "System Settings -> Language Support", the language support tool will the propose to install missing language packs. In order to improve compatibility with other local nameserver packages, NetworkManager now assigns IP address 127.0.1.1 to the local nameserver process that it controls instead of 127.0.0.1. If the system's /etc/resolv.conf is absent or is a static file instead of the symbolic link to ../run/resolvconf/resolv.conf installed by default then this static file will have to be updated by the administrator in order to continue using the NetworkManager-controlled nameserver. The major tools in apparmor-utils AppArmor 2.8.95 have been rewritten to improve maintainability. While this allows us to better support them and add fixes going forward, currently the aa-genprof and aa-logprof CLI tools contain several bugs (1294797, 1296218) that affect their utility. These bugs should be fixed before release or in an SRU. It is recommended that people develop policy manually at this time. Update: these and other bugs with the python tools have been fixed and the new tools are expected to work better than tools in previous releases. 1292467 - Some laptops (particularly netbook class) with older graphics can experience poor graphical performance when starting with a high resolution external monitor attached. The reason for this is that some graphics cards (like the Intel 945GSE) cannot support accelerated 3D graphics when the combined width of both screens exceeds a certain threshold (typically 2048 pixels). See the bug for appropriate workarounds. For a listing of more known issues, please refer to the Trusty Tahr bug tracker in Launchpad.